Various laser technology devices, each with their own technical advantages, can be used for batch manufacturing in the construction of electrical machinery. A specialised laser welding machine, STIEFELMAYER LW 2, has been developed as an enhancement to the STIEFELMAYER effective range of laser welding machines for laminating stacks. This machine enables the quick and straightforward welding of single electrical steel plates into rotor or stator stacks. 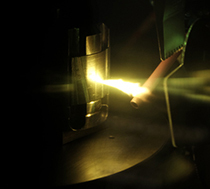 When compared with traditional welding techniques, laser welding requires very little energy input, and this energy is focused on a very small area. Accordingly, this minimises the heat-affected zone and workpiece deformation. Heat inputs must be kept very low to ensure high-precision, deformation-free rotor and stator stacks. 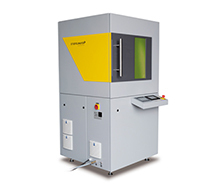 The integration of the electronics and laser source into the machine gives it a highly compact, space-saving footprint. For welding the plates, a solid-state laser is used that focuses high pulse peak power onto a single point. 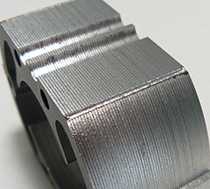 The short pulses mean that heat penetrates into the material only as far as is needed, resulting in relatively little if any workpiece deformation. Alongside pulse length, pulse energy and pulse frequency, the pulse shape can also be specified by the operator. This helps users to configure the optimum welding parameters for their applications. The machine has two NC axes: a rotary axis and a linear axis. 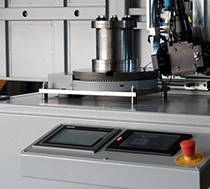 The linear axis is used for vertical movement of the laser during the welding process. 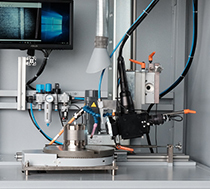 The rotary axis permits automated welding of multiple seams on a single laminated stack. In addition to the two NC axes, the machine also features four other, manually configurable axes. This enables the clearances and angles of inclination needed for the laser to be set manually by the operator with the aid of a pilot laser. This also considerably simplifies operation of the machine. 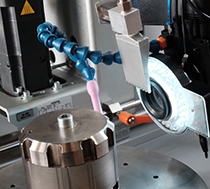 The use of a high-performance solid-state laser and other energy-saving components keeps the machine’s energy costs to a minimum. Thanks to its intentionally simple design, the system also requires virtually no maintenance.